Kosnic recently presented the iPad Air 2 to the winner of a March Competition we featured in the magazine and online. Back in March Kosnic Lighting offered the chance for one lucky reader to win an iPad Air 2 to celebrate the launch of its Universal Emergency Module (UEM). Selected at random, the competition winner was a delighted Chris May, an electrical contractor working for MJ & J Robson Contracting Services Ltd in Southampton, Hampshire. 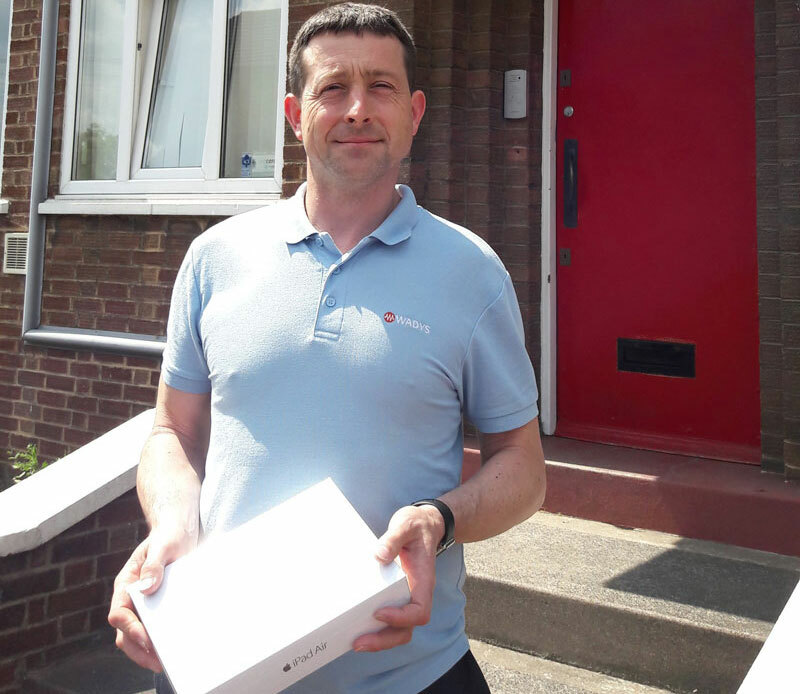 Mainly working on projects in schools, colleges, industrial areas and offices, while also branching out into housing associations and private housing, Chris is now the proud owner of a new 16GB iPad Air 2. The competition received a fantastic amount of interest from readers and helped to spread Kosnic’s message about its wide range of products.